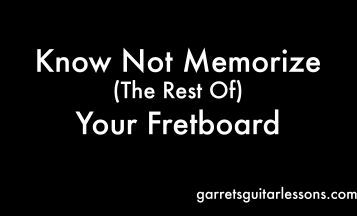 …and the major, minor, harmonic minor and modes as the “meat” of your playing. Yes, Pentatonics are not just for beginners, everyone uses them regardless of how advanced they get. 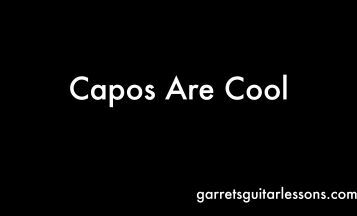 What’s great about our CAGED pentatonic shapes as they can really be the outline of just about every other scale, regardless of type. 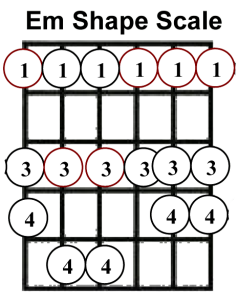 *Not sure how we build out major scale? Check this video lesson out! 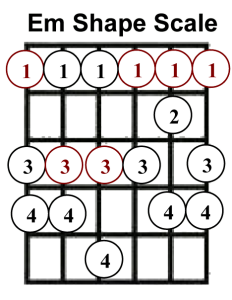 Okay so what does this mean for your playing? 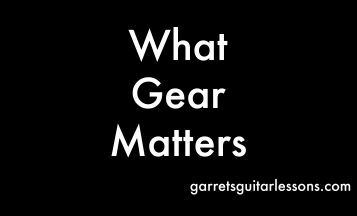 Well, it’s good news regardless of what you’re more familiar with, full scales or pentatonics. 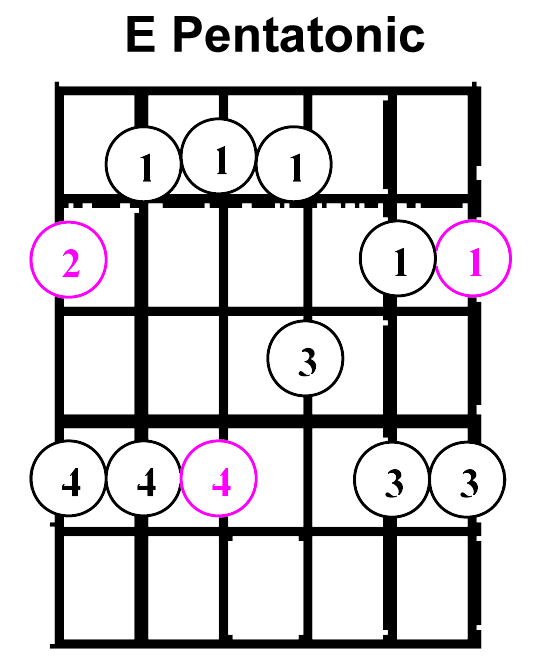 I’m going to go through scenario 1, where I assume you are more comfortable with your pentatonics. 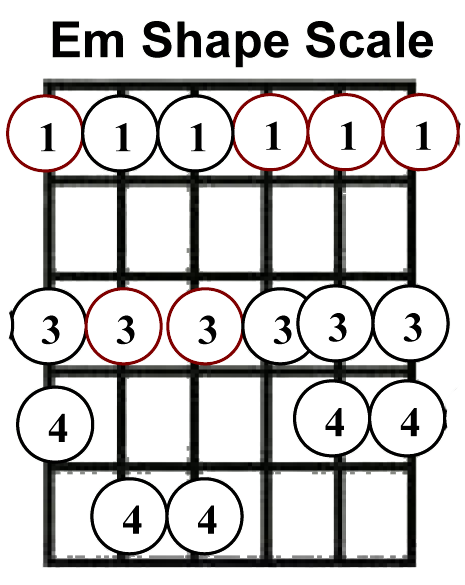 Let’s compare our Minor Pentatonic shape vs the Aeolian (Natural Minor) and Dorian Scale over only 1 shape, the Em shape. 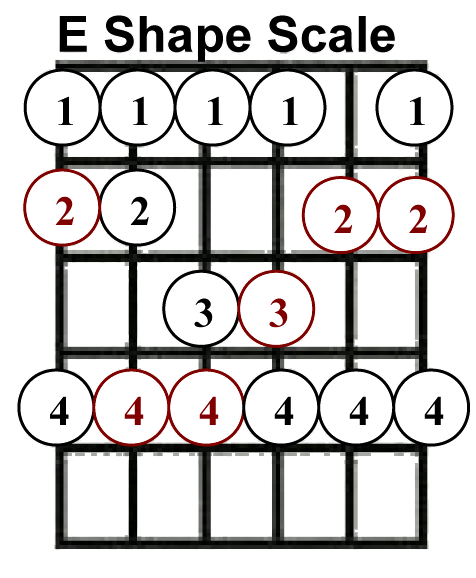 When looking at them, can you seen the Minor Pentatonic as the outline for both scales? 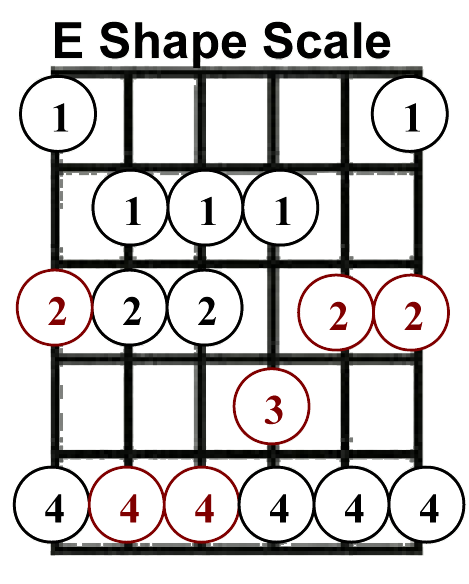 All we’re doing to each scale is adding in a “2” and for the Aelian “b6” and for the Dorian “(natural) 6”. 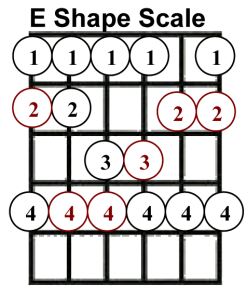 Since each scale goes through the order of the notes twice, we actually have 2 octaves of both of the added notes… but that’s the only difference. 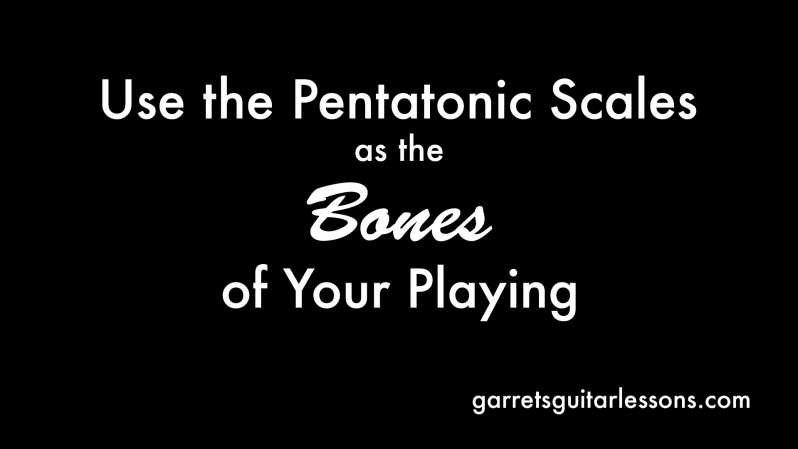 How about the Major Pentatonic? 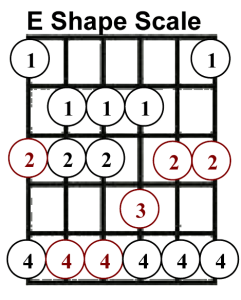 Let’s compare our Major Pentatonic shape vs the Major Scale (Ionian) and Mixolydian Scale over only 1 shape, the E shape. 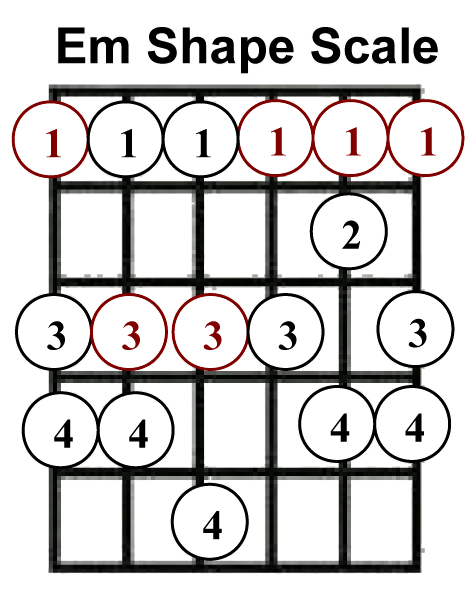 When looking at them, can you seen the Major Pentatonic as the outline for both scales? 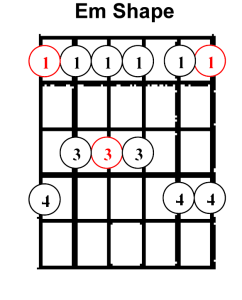 All we’re doing to each scale is adding in a “4” and for the Ionian (Major Scale) the”7″ and for the Mixolydian the “b7”. Since each scale goes through the order of the notes twice, we actually have 2 octaves of both of the added notes… but that’s the only difference. 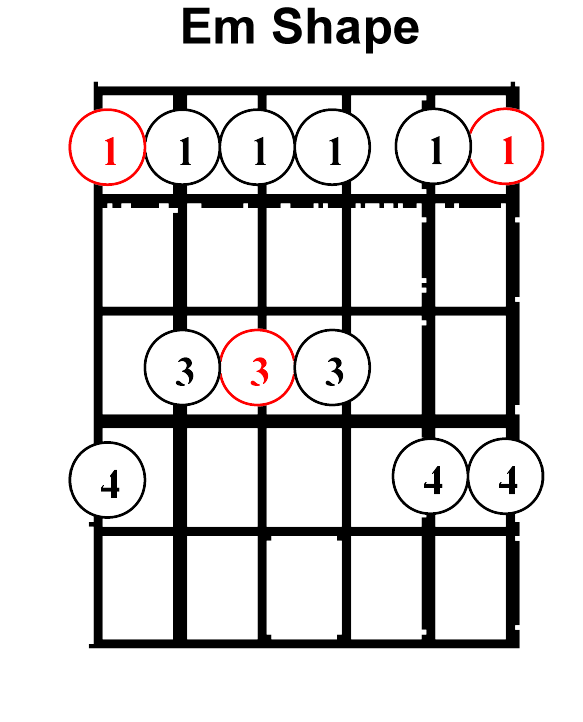 What if you know your Major Scale better than pentatonics? The reverse would then be true. 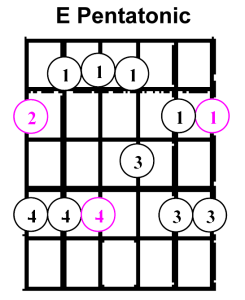 You just take away the “4” and “7” from each major scale shape you know and there’s your major pentatonic. 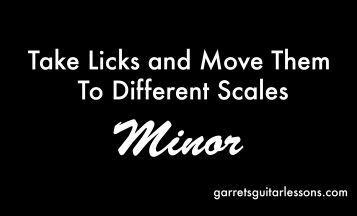 Take away the “2” and “6” from each minor scale shape you know and there’s your minor pentatonic. 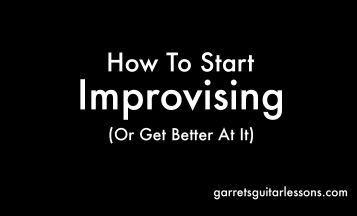 I love having an easier way to go about learning scales and I hope this makes it a little less daunting when dealing with the modes, scales and pentatonic. 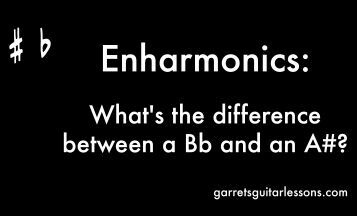 Enharmonics: What’s the difference between a Bb and an A#?